In this lesson we'll talk about all the concepts you need to know before we dig into actual programming of cues. We'll talk about Why it's worth doing this, and provide a basic gear list. We want to creatively alter the video in our software, or create something new from it. GOALS: Same as Playback, but also control effect levels, etc..
06:40 What is a Media Server? 08:35 This doesn’t have to be a HUGE purchase. Sending DMX from Ableton Live? In this course you’ll learn how to control video from Ableton Live. We’ll specifically take a look at how to use Ableton Live to control Pro Video Player 2 and Qlab. You’ll also learn how to use video in Live directly. 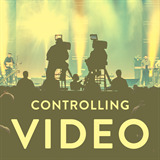 We’ll look at how to program cues efficiently each week, and how to have freedom when using video content live.